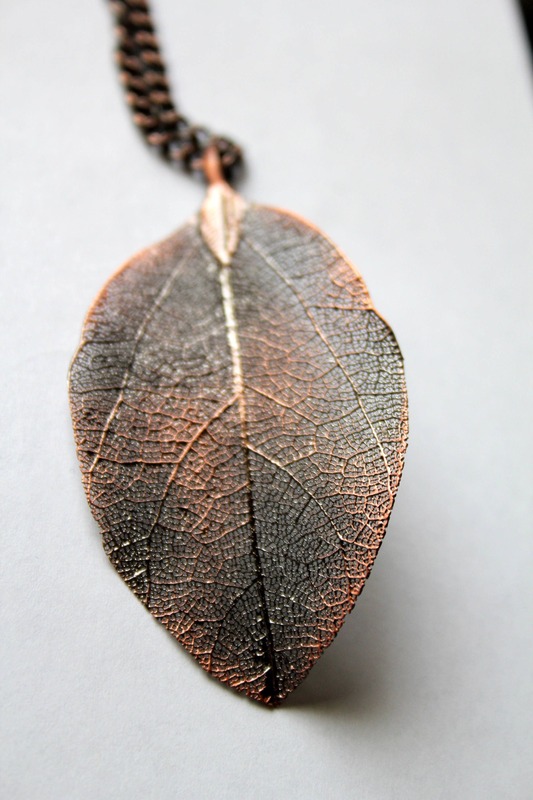 This necklace is made with a real leaf that has been electroplated with a combination of copper and gun metal gray finish. The sections of the real leaf burn away leaving a lacey metal leaf. 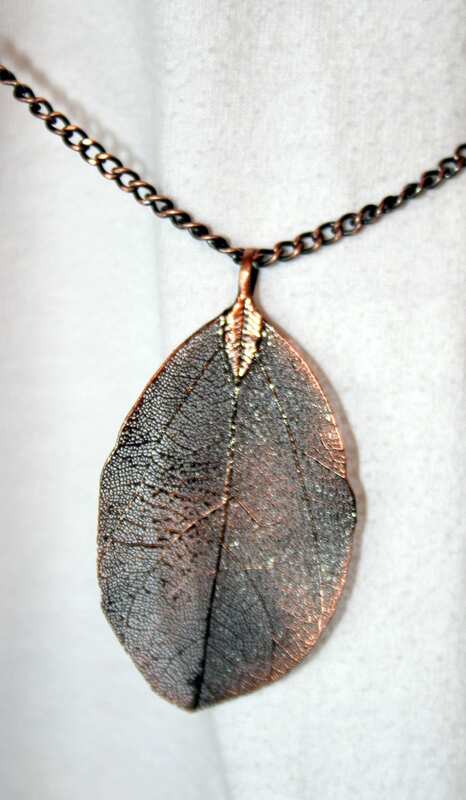 The leaf is strung a copper and gun metal gray mix curb chain. 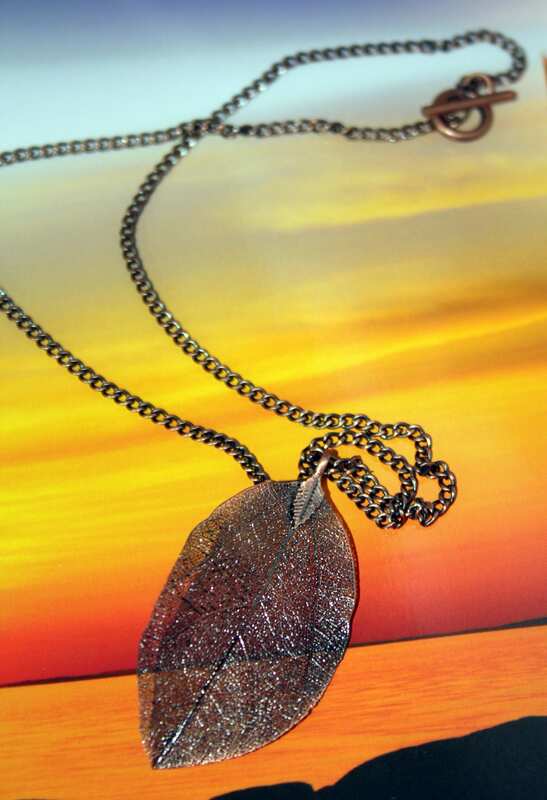 The necklace is 26 inches in length including the leaf pendant. 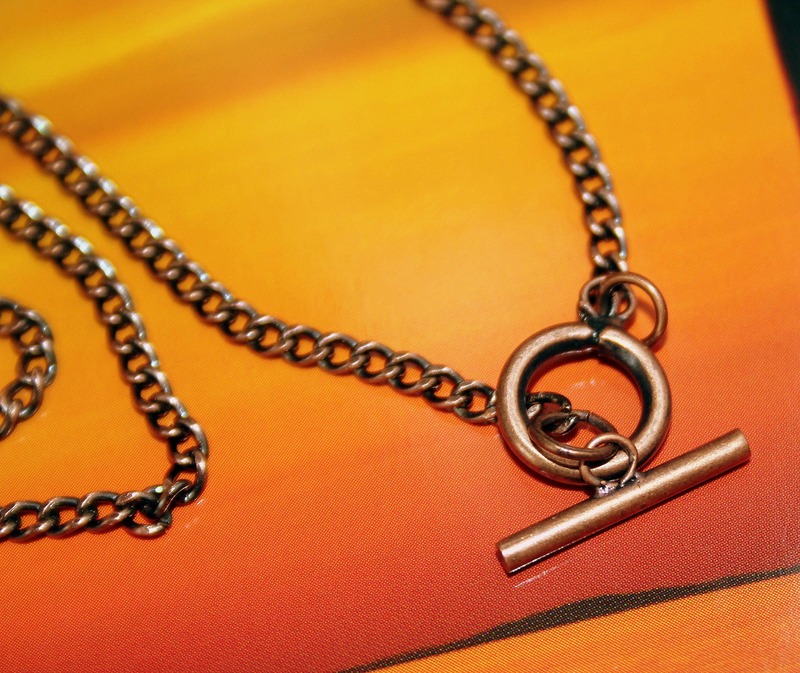 There is a copper toggle clasp. This necklace is simple and elegant.